Today, New York Republican Rep. Peter King's controversial public congressional hearings on the "radicalization" of Muslims in America have moved forward despite significant protests. Their content is being called "loathsome." Russell Simmons reacted to the idea of the hearings in a Black Enterprise interview earlier this week, calling them "political grandstanding." He argued that there have been "more Christian problems in this country than Muslim," and warned that Islamophobia is "a cancer in this country" that "could be 10 times worse than McCarthyism." Rep. Keith Ellison (D-Minn.) — a Muslim who has been a staunch opponent of the hearings — took a less adversarial approach in his testimony this morning. Instead of focusing only on the hypocrisy and ineffectiveness of the public spectacle (he did argue that the "approach to violent extremism is contrary to American values and threatens our security"), he chose an additional angle that just might prove to be even more effective. Ellison relayed the story of Mohammad Salman Hamdani, a Muslim first responder who wanted to be seen as an "all-American kid" and lost his life trying to save others on 9/11. (Because Hamdani was a Muslim, he was the subject of a conspiracy theory for months after his death, until his remains were found and it was confirmed that he had gone to the scene to save people he didn’t know.) Ellison said tearfully, "His life should not be identified as just a member of an ethnic group or just a member of a religion." When it comes to public opinion, the congressman might have made a more powerful statement against Islamophobia with this simple anecdote and his visible pain on behalf of Muslim Americans than he could have through any amount of logical reasoning about the negative consequences of vilifying an entire religion. Read more at Black Enterprise and the Washington Post. 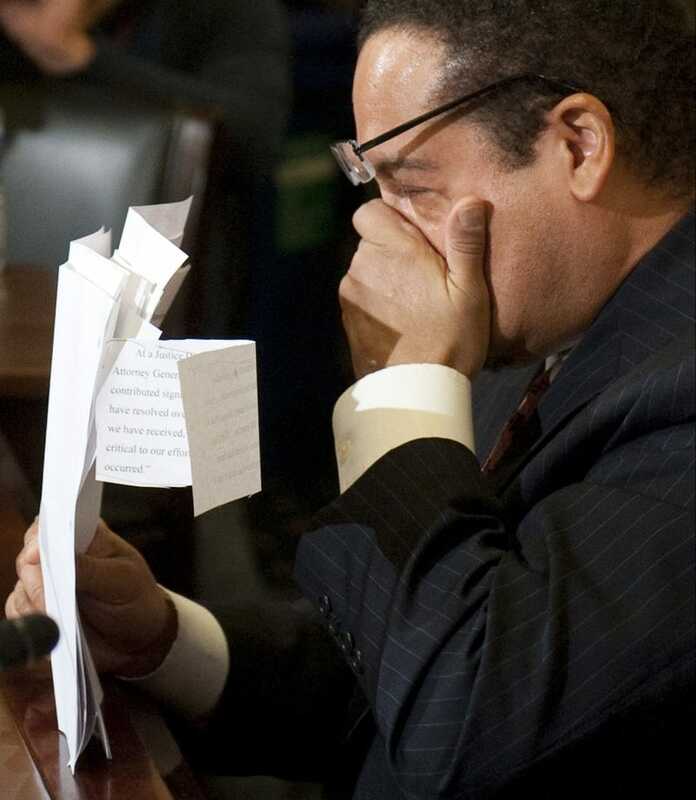 Read Charles E. Cobb's take on why African-American leaders should speak out against the hearings.